Online hearing tests offer a convenient way to check your hearing over time, allowing you to detect a possible hearing loss or a degradation of your hearing as soon as possible, without the need to consult an audiologist for this routine check. These tests can be used to confirm that your hearing has returned back to normal after your ears were stressed, for example, such as during a loud concert, or to assess the performance of your hearing aids. Beware, not all online hearing tests perform equally well. Here are the ones that worked for me along with how to use them. First, let's introduce an important distinction between online hearing tests: they can be calibrated or not. Calibrated tests offer you an indication of your absolute hearing thresholds. This is what your ENT measures when you are placed in an isolated cabin and asked to listen to individual test tones. 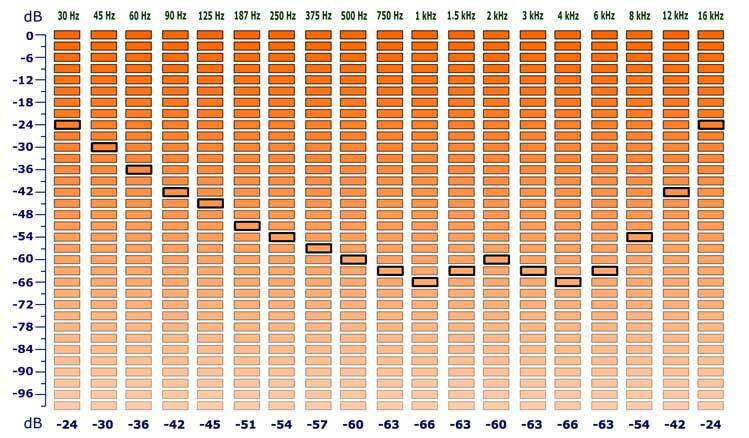 Results of such a hearing test are often summarized in an audiogram, a graph showing your hearing thresholds across various frequencies such as the one depicted aside. Until recently, it was assumed that such calibrated hearing tests were impossible to conduct online. Today, most headphones have a pretty flat frequency curve within the frequency range used in a hearing test. If headphones are now good enough to run a hearing test, yet it must be ensured that your computer and headphones are calibrated: they have to output just the right amount of 'loudness' required to run a standardized test. Specialized equipment would be needed at this stage, such as a calibrated microphone, a calibrated sound level meter... and an anechoic room! However, decent results can be obtained using a simple trick. This trick requires producing a specific sound in your room — the sound of your hands rubbing one against the other for example — then playing a similar sound through your computer and headphone, and adjusting your computer's output level to match the loudness achieved by your hands. That trick first appeared on AudioCheck.net, in 2012 and is now used by my many websites offering calibrated online hearing tests. Non-calibrated tests are those running without a precise reference level. During these tests, you will often be asked to turn the level of your computer up until you comfortably hear the sounds used for the test. Although it could be interpreted as a way of calibrating your system, it isn't, because adjusting your computer level until you hear something by definition compensates for your hearing loss. This is the reason these tests cannot measure your hearing loss directly but will try to infer such a loss from other factors, such as having a difficulty in hearing the higher frequencies. Non-calibrated tests will usually fail when your hearing loss is attenuating all frequencies by the same amount. Therefore, successfully passing a non-calibrated test does not in itself mean that your hearing is perfect. Keep that in mind. Non-calibrated tests however can be useful to test other hearing impairments, such as speech intelligibility, especially under noisy conditions, or to test the dynamic range of your hearing. This test is likely the best one available online, although it requires some understanding of how to proceed. In essence, you start by calibrating your computer levels using the hand rubbing trick described above. Then you listen to a set of test tones arranged as a matrix. You proceed column by column, from top to bottom, starting from the top left corner. As soon as you hear a tone in one column, you move on top of the next column. There are six columns in total, one for each hearing test frequency. Once you are familiar with this process, hearingTest.online is probably the fastest hearing test you will find online. A trick to make it even faster: if you note your computer levels after the first time you went through the calibration, directly apply the same level the next time you perform the hearing test, and you will be able to bypass the calibration step. Results are displayed as an audiogram and can be saved as a bookmark to take a snapshot of your hearing at a given point in time. A similar test is available at AudioCheck.net, but using sine tones instead of warble tones. Warble tones are less sensitive to headphone variations. As such, the test hosted at HearingTest.online is the better one, but AudioCheck.net could be useful to cross-check your hearing results. HearingTest.online is a serious hearing test that has been also successfully deployed by NGOs to screen hearing in rural areas in developing countries. When carefully set, it will offer an accuracy around 10 dBHL, which is similar to what you would receive from an ENT’s performing a rapid screening of your audition. Conclusion: This is a hearing test with a great precision and meaningful output: a full audiogram like those printed by professional devices. The page shows a great deal of text, and the user interface is not very intuitive. There is no step-by-step (or screen-by-screen) assistance. However, once you have understood how it works, it is the fastest online hearing test available. You need to be able to interpret an audiogram. There is no textual interpretation of your hearing results. 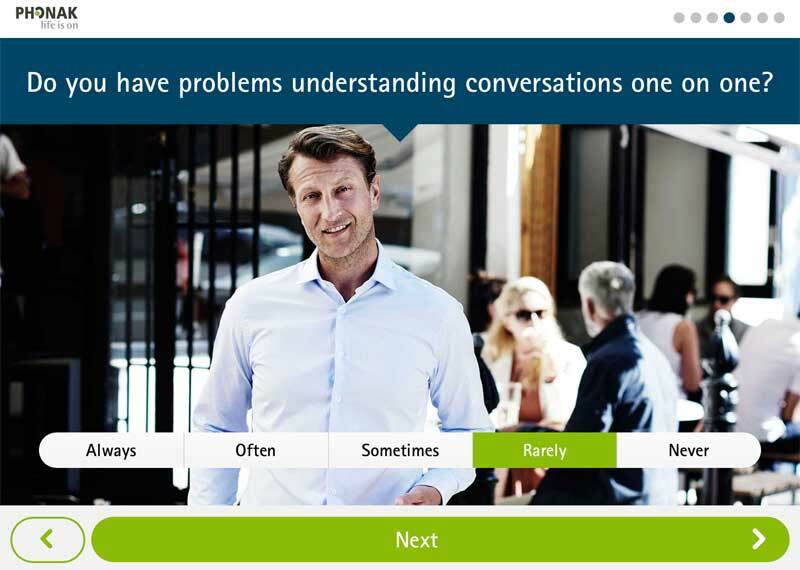 Nessa has hired the same engineer as the one who did HearingTest.online, to develop its own hearing test. Thus it is makes sense that Nessa is using the same hand-rubbing calibration trick. What makes this hearing test different, neat, and fun are the natural sounds it uses instead of synthetic test tones: you'll be asked to listen to frog calls, a cat purr, a dog barking, and birds chirping. The user interface is well done and is an improvement over that of HearingTest.online. You just need to follow the indications on the screen step by step. The drawback of such a method is the time taken to complete all steps sequentially compared with HearingTest.online’s single sound matrix. The results are not as detailed as an audiogram printout’s, and you will be given a simple textual description of your audition results. If you are uncomfortable reading an audiogram, and if you are only interested in confirming good hearing, this will be a completely acceptable option. Conclusion: This is how you get both a hearing test and some enjoyable time spent taking the test. This test is reliable and easy to complete thanks its simple step-by-step instructions. Results are textual and somewhat generic. The test is aimed at the Asian market, and at the end of the test, you will be shown how well your hearing performs compared with the average Asian person. Fortunately, it is not a competition. And this will give you a good idea of how your hearing performs in the rest of the world, too! A very simple test that will test your hearing beyond the classic ENT hearing test. AudioCheck's High Frequency Range Test starts where the classic hearing test ends, that is to say, at 8 kHz. This is no surprise because AudioCheck is a website aimed at music lovers and at the audiophile community. To run this test, you just need to play one single audio file and listen to what sounds like a voice-over first, counting from 22 down to 8kHz. A frequency sweep plays on top of the voice-over, but it will become audible only after a while. At 22 kHz — the absolute upper limit of the human hearing range — you will not be able to hear the sweep unless you are young and your hearing is above the average. As the sine tone sweeps down, there will be a point at which the pure tone finally enters your audition range. When it does, the voice-over will tell you the associated frequency. This is the highest limit of your audition, a limit that decreases with aging. If you can't hear the sine tone for the entire duration of the test, then your ability to hear the higher frequencies is lost. Running a classic hearing test — such as hearingTest.online — is then recommended. Conclusion: This is the only test that tests the high frequencies beyond the classic hearing test. It is clever, intuitive, and easy to perform. It is somehow calibrated but to speech levels. People have the impression they can cheat with this one by increasing their computer volume until they can hear the sine tone, but the voice-over embedded in the same audio file will prevent them from doing so (at a certain point, the voice-over will reach deafening levels). This is another extremely simple hearing test. You start with playing an initial tone and set the levels of your computer so that such a tone plays at your hearing threshold. Then you listen to the other tones available and confirm that you can hear them, too. This test is non-calibrated and will fail if you have hearing loss that affects all frequencies evenly. But this is rarely the case. Oftentimes, hearing loss affects higher frequencies first. Therefore, if you can hear the lower tones but not the higher ones, it can be the early sign of a hearing loss. Conclusion: A simple and extremely fast test that will confirm whether you are hearing all the frequencies of a classic audiometric test, but it is only valid at your hearing threshold. This test will not reveal whether your hearing threshold is normal. This test is extremely close to the previous one, as it works at a hearing threshold level, too. Instead of a set of discrete tones, a continuous pure tone sweep is used to scan the entire human hearing range, from 20 Hz to 20 kHz (20,000 Hz). Play the audio file a first time and adjust your computer levels to hit your hearing threshold. The sweep must be barely audible. Then play the file a second time and measure how long you are able to hear the sweep, using a chronograph. The file is 20 seconds long. If you only hear it play for 10 seconds, then you may have a problem. Conclusion: This test tone was not designed explicitly as hearing test and is a bit tricky to use for this purpose. It is mentioned here because it is a generalization of the Handtronix Online Hearing Test, which could be interesting for some curious readers. This test is not a hearing test but a giant interactive sound matrix that will allow you to draw your hearing threshold curve. It is not calibrated, and it does not account for the properties of human hearing. This means that even if you have a perfect hearing, you should not expect to see your hearing thresholds be drawn as a flat curve across all frequencies. Why? Because hearing is intrinsically not linear and not flat. It only appears flat on hearing tests because these tests compensate for human hearing. Not with the test found on on the University of New Sounth Wales webpage. Yet, you can use this test to precisely track changes in your hearing. But first you will need to set your computer levels to a reference that you can arbitrarily choose and store safely so you can apply it the next time you perform the test. Using your own reference level, you draw your hearing curve by selecting the quietest sounds you can hear across the entire sound matrix. That curve represents your hearing. As it is not calibrated, you won't be able to infer precisely whether something is wrong with your hearing. But if you try again a few weeks later and apply your reference level, any deviation your new curve will show compared with the former one could only be the result of a change in your hearing. And that could be valuable information. Conclusion: A tool that allows you to draw your hearing thresholds curve with great precision. 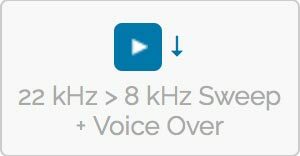 If you carefully fix your computer levels to your own reference points and make sure you use the same headphones too, this tool can then monitor any changes in your hearing with great precision. It is not a hearing test but rather something that allows you to track any changes in your hearing. An extremely well-designed, step-by-step hearing test that starts with some generic questions about your hearing, such as asking whether you sometimes have difficulties understanding speech on the telephone or on TV. Then comes a pure tone audiometric test, which unfortunately is not calibrated. There is a step called “calibration” that will ask you to increase your computer level until you hear a test tone. But don’t get fooled: If you increase your computer level to the point of hearing something, you will always hear something, even if you suffer from hearing loss! Therefore, the pure tone test can only infer any hearing loss from an imbalance between your ears or from imbalanced frequencies. If you have hearing loss that affects both of your ears and all frequencies equally, this test will fail—like all non-calibrated tests. Interestingly, the Starkey Hearing test offers a speech intelligibility test in which you will be asked to match a word with suggestions off a list of similar sounding words (e.g., pass, cash, hash). Results are presented separately for each test in a very clear textual output. Conclusion: A very simple step-by-step hearing test. The set of preliminary questions is enlightening, and the speech intelligibility test is interesting, as it is not tested yet in the other websites listed above. This is another well-designed but generic hearing test that shares a great deal in common with the Starkey test. It tries to infer hearing loss by challenging the higher frequencies of your hearing with some warble test tones and then asks you generic questions about your hearing. There is no speech intelligibility test though. Results are extremely detailed, and they include a discussion for all sections of the test. Conclusion: A well-designed test in which you only need to follow the guided steps. This test may be used to cross-check the results you obtained with the similar Starkey Hearing Test. If you didn’t pass the Starkey speech intelligibility test and want to confirm your results, here is another speech intelligibility test that is taken under noisy conditions. It relies on numerals to be transcribed instead of words. 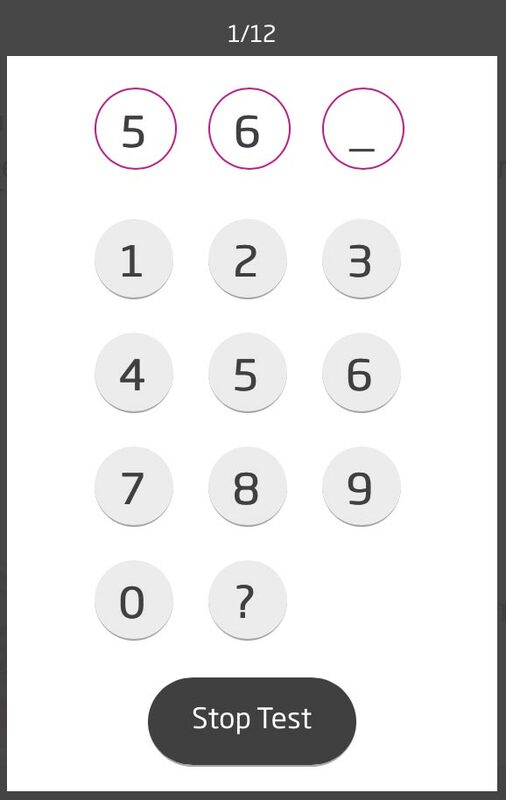 To make your task harder, numerals will be dictated under various levels of background noise. The test attempts to determine how much noise you can handle before losing your focus on speech. Conclusion: this online hearing test uses numbers to simulate a social setting where you are trying to focus to speech and filter out noise. Your score will indicate whether you are beginning to experience the loss of hearing clarity that many people encounter as they get older.